So its that time again... Glossy box time!!! 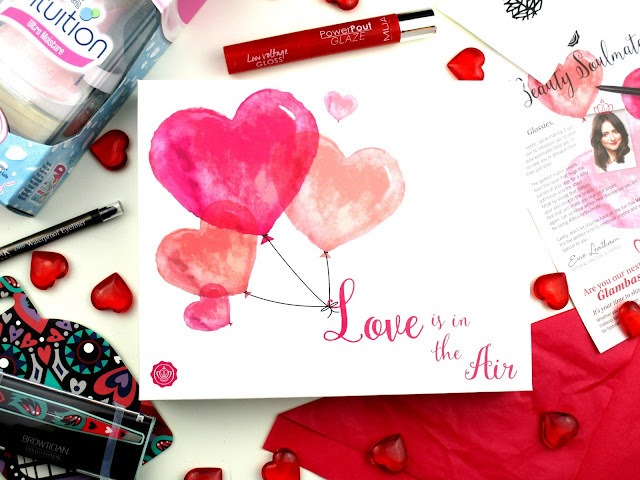 This month we have the 'Beauty Soulmates' box, a Valentines theme that sees Glossybox introduce us to the perfect beauty products to match us! I'm actually really impressed with this months box, theres five full size products which is always an absolute bonus and everything came at the perfect time for me because I'm actually in need of everything in the box! Firstly this month I have the Wilkinson Sword Intuition Razor, my razor I'm currently using has definitely had its day so I was super pleased to see a new one in my box this month. 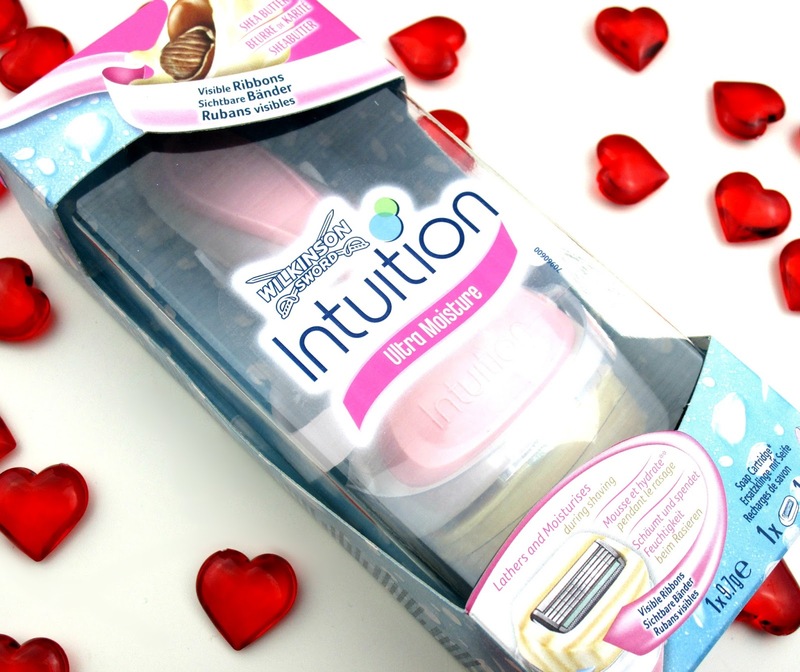 The Intuition Razor has a gentle, creamy soap that sits around that four razor blades which lathers up and moisturises as you shave, meaning theres no need for shaving foam and your skin will be left super, super soft afterwards, woohoo! 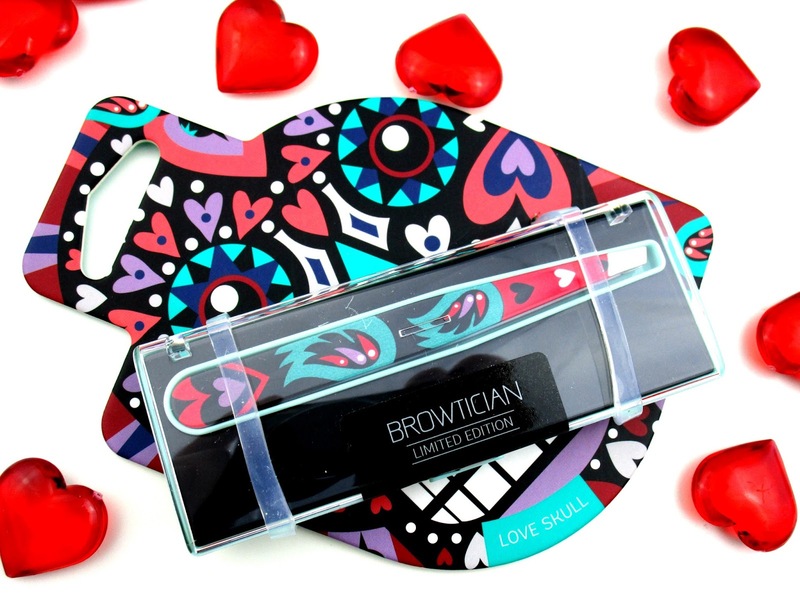 My tweezers are super blunt and rubbish so these funky limited edition tweezers by Browtician couldn't have come at a better time. The Browtician Love Skull Tweezers have been finished by hand making precision plucking easier than ever, I cant wait to give these beauties a whirl! 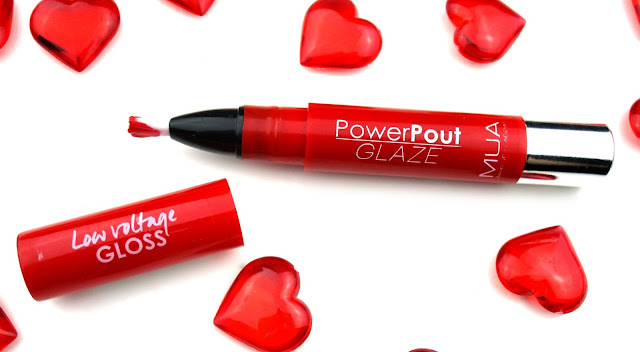 Next up I have this pretty looking MUA Power Pout Glaze. In December Glossybox told us that we would all be getting a MUA Power Pout Glaze inside our February box and that we would have full control over choosing the shade with quite a few shades to choose from, I opted for Spellbound a gorgeous strawberry red shade that I thought would be perfect to wear over Valentines! I did give this a go as soon as I opened my box and I have to admit it is very sticky and gloopy, I found that really rubbing it into my lips like a lip balm worked best but I will keep experimenting with it! 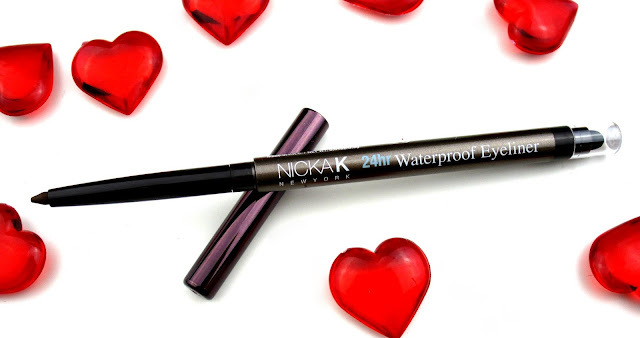 Then I have the Nicka K 24H Waterproof Eyeliner in Dark Brown, I wear eyeliner on my waterline every single day so this will definitely get used up by me very quickly, I'm looking forward to giving the dark brown shade a go for a softer look during the day time rather than my usual harsh black. 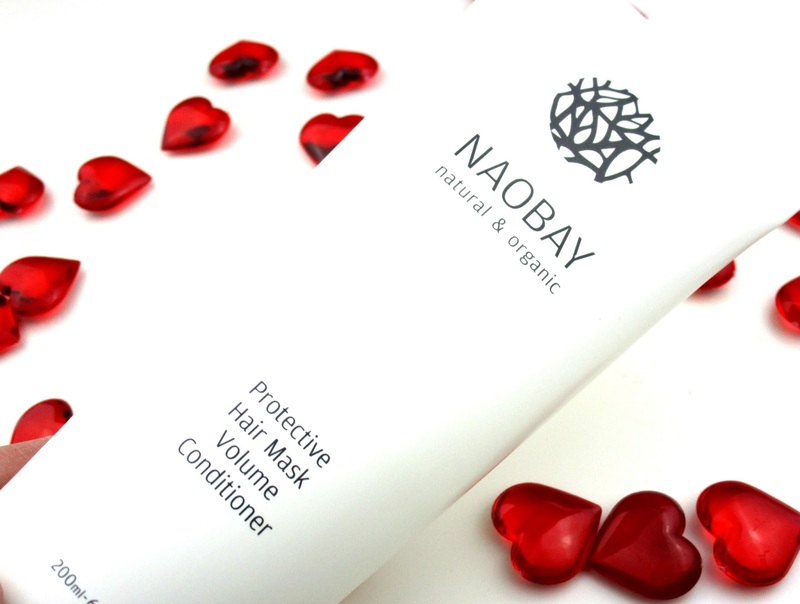 Lastly this month I have a giant bottle of the Naobay Protective Hair Mask. Naobay is a brand we see a lot of in Glossybox but I'm not complaining because its an absolutely lovely brand, it's all natural and organic and everything I've tried from them I love so I'm expecting good thing from this mask! looks a fab selection of goodies! 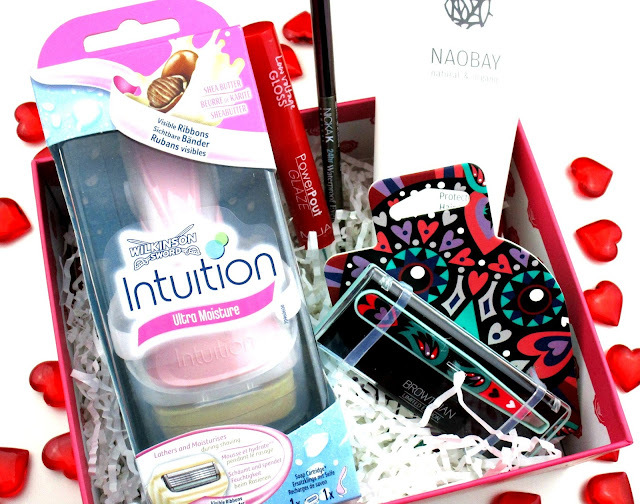 This looks like one of the best Glossybox relseases in a while! Especially since I love a hair mask and this one looks like a dream. Every time a subscription box review comes out I feel like I *need* a subscription box but I'm too scared that I'll be disappointed with the products each month to commit. Those tweezers look so cool! Powered by the44-jewel automatic movements made in the Switzerland, the watches replica are offered with greater accuracy.This Dior handbags isn’t the worst of replica handbags, but it certainly isn’t one that can be mistaken for an original. At a first look, it can seem to be authentic, but once you look into the details.